The “Drive Theory” is one of the most popular motivational theories of the past century. It is based on the idea that we are motivated to get what we don’t have, driving for results and performance. It makes sense, but unfortunately our psychological needs are not drives and drives dissipate when they are satisfied. One of the primary reasons motivating others doesn’t work is our assumption that motivation is something a person has or doesn’t have. Adding to this problem in the workplace is that leaders are being held accountable to motivate others, which is an impossible task. An important truth emerges when we explore the nature of motivation — people are always motivated. The question then becomes not if, but why they are motivated. For example, motivation that comes from choosing to do something is different from motivation that comes from having to do something. Or, motivation that comes from values, purpose, love or compassion, is different from motivation that comes from ego, power, status or rewards. Our desire to thrive may be innate, but thriving doesn’t happen automatically. The workplace either facilitates or impedes it. The essence of motivating people lies at the heart of the science of motivation and the revelation of three psychological needs: autonomy, relatedness and competence, or ARC. Regardless of gender, race, culture or generation, the real story behind our motivation is as simple and as complex as whether our psychological needs are satisfied. 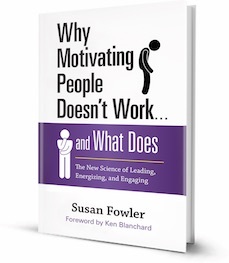 Susan Fowler’s book, “Why Motivating People Doesn’t Work … And What Does,” addresses the “ARC Domino Effect,” which begins when the lack of autonomy raises questions in your mind about your competence. A manager’s ineffective leadership, lack of sensitivity to one’s needs and apparent self-interest prevent any sense of relatedness. People revel in the positive energy, vitality and sense of well-being that occur when all three psychological needs are satisfied. But one depends on the other, and the ARC Domino Effect happens when one need is missing. To correct the problem, we need to have a conversation about outlook. This is an opportunity to facilitate a person’s shift to an “optimal motivational outlook.” A shift depends on how an individual internalizes the situation. Motivating people doesn’t work because you cannot control someone else’s internalization process, and the result is an imposed motivational outlook. Conversations do not guarantee a shift, but provide an opportunity for growth and understanding. Motivating your staff won’t work, because they are already motivated. Your job is to help people understand why they are motivated. Facilitate a shift to an optimal motivational outlook for your workers so they flourish. In an ideal world, your people choose to come to work because they experience a sense of positive well-being, the feeling that they are contributing to something greater than themselves, and the thrill of continued growth and learning. This is the promise of optimal motivation. 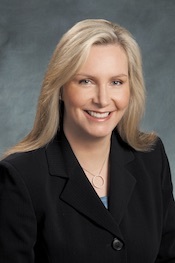 In her book, published by Berrett-Koehler Publishers, author and consultant Susan Fowler says that people don’t need to be motivated, because they already are. Using psychology, Fowler has created a model and course of action that all leaders — from supervisors to CEOs — can use to guide their staff members toward this inner motivation that will ultimately increase productivity and instill them with a sense of purpose.